Dark Souls 3 has finally been launched and I am sure that there will be millions of new ways that the game will brutally destroy us and drive us crazy, but at least one of them is not part of the plan. Dark Souls 3 crashes and freezes are driving many people crazy right now – especially a crash that happens right at the beginning of the game at the Bonfire. The developers are aware of that particular crash and are working hard to quickly release a fix, but until then we have fix for the Bonfire Crash, as well as more fixes for Dark Souls 3 crashes and freezes that might prevent you from getting the entire experience. 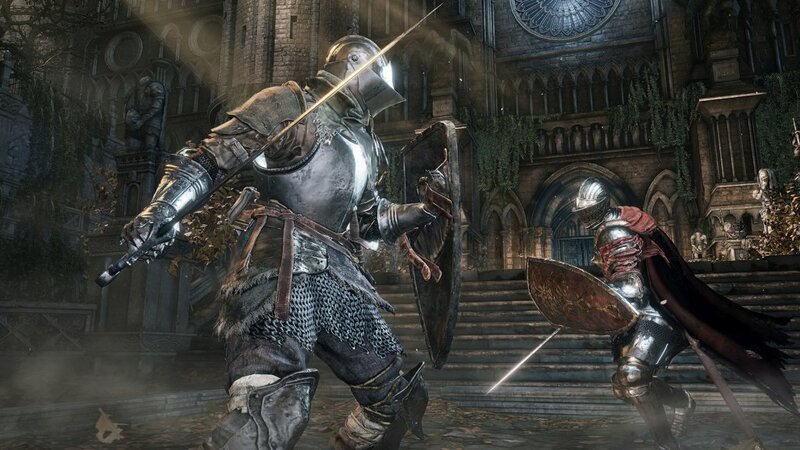 So let’s not waste a single second and let’s see how to fix Dark Souls 3 crashes, freezes and other problems – make sure to read all the fixes and try them even if they are not listed for a problem you are having as they might work for multiple problems. Right now, this seems to be the most popular crash that people are getting and even though it will be fixed in the future, right now it’s killing us. However, there are some temporary fixes that work and you should try any or all of them to get past this stage in the game and experience a crash-free DS3. One of the least invasive ways to fix this crash is to unequip any shield you might have and go to the bonfire – this strangely works in many cases! If it doesn’t, setting Lighting Quality to Low. Finally, some players believe that the crash might be fixed if you pick a specific class, which is the Knight. It might be a coincidence, but those playing or switching to Knight have not experienced the Bonfire crash or other crashes, so it’s worth trying if the others don’t work.